Another ICSCC Conference season has passed into the rearview mirror. 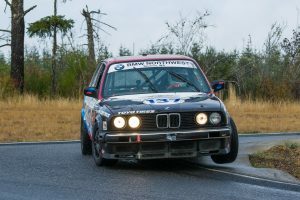 The last stalwarts will be racing at the 25 Hours of Thunderhill December 2-3, including PRO3’s KD Motorsports, the defending winner in the E2 class. Shaun Northrop taking his victory lap. After 16 championship races, a relatively new PRO3 dark horse, Shaun Northrop, won it all. Many thought it would be Kyle Byers, but you can’t win and do only seven races. Then, there was Corey Peters, Brian Bercovitz, or Gama Aguilar, but as Paul Simon sang, there are always “incidents and accidents, hints and allegations.” Like many before him, it looks like Shaun will be moving into the SE46 ranks which will clear some room at the top for the next wave of talented drivers. Rumor has it that Shawn’s car, along with several others, has already changed hands in anticipation of a new slate of competitors for 2018. Congratulations to Shaun! For competition and camaraderie, once again PRO3 was THE CLASS to race in. Over 16 races, we averaged 16.4 cars per race. If Croc-man had not dynamited his engine we would have been over 17 per race. 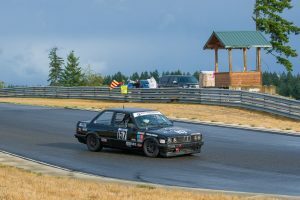 The smallest grid with ten entries was the weekend in Portland (probably due to the lack of motels) and the largest was 28 cars at The Ridge (plus 21 in Group 5) on a beautiful late summer day. No other class in conference was even close. 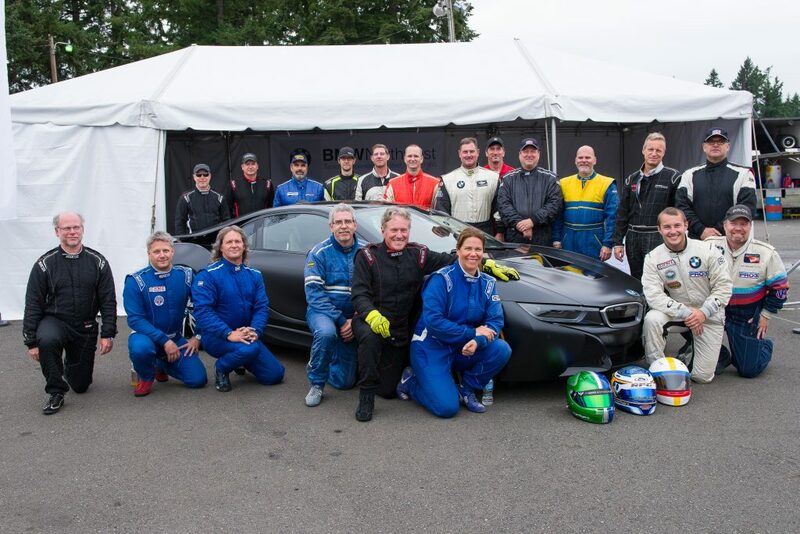 A field of 16-plus cars assures that whatever your speed, you will be racing someone. And that is where the fun is, 30 minutes of nose to tail, door to door, green-to-checker racing! And upon return to the paddock, you have an entire community of colleagues waiting to revel in the retelling of the battle. Need help? Ask around, you will find ready and willing hands to get you back in the game. The PRO3 driver corps comprises a vast collection of knowledge, an active online forum, Facebook and Yahoo groups. Does this sound like your kind of fun? Plan now to attend one of the Driver Training schools tentatively March 24, April 21, May 4, June 1, and August 17. Check www.icscc.com/season.php for current information and schedules. Our PRO3 sponsor runs race licensing schools over the winter and spring. See http://www.proformanceracingschool.com/ for dates and pricing. Next year’s schedule shows races over eight weekends at five tracks so far. Now is a great time to find a good pre-built car for sale on Craigslist, the ICSCC for sale forum online, and several local race shops sell or broker cars. Rich Reinhard’s car is for sale and he can be contacted at: yellow94vmax@yahoo.com. Dave Bennitt’s car is also for sale, contact him at: ddbennitt@aol.com. And even though veterans Greg Miller and Michael Maros sold their cars and moved on to browner pastures, we have lots of new blood, good drivers who competed in many races. The new drivers, Mike Bailey (ten races and finished 18th in his first season! ), Gordon Winters, Dirk Groeneveld, Brian King, Laurent Testud, and Bryce Scott in that gorgeous blue SHOW3 car all did well this past year. Although co-author Jim Cissell blew his engine in the last lap of the Rose Cup races at PIR in July, we would like to thank all the help from Jon and Kyle Byers and JR and Mason Nagy. Jim still left the race with a smile on his face. It is amazing how a friendly hand can soften the blow of total engine destruction. And what a hoot to race against Indy-winner Gordon Johnstone! Video at https://youtu.be/bNOIh10trO4. Two-wheeling it through The Ridge Complex. Some big changes in the special non-conference races are in store for next year. The Rose Cup will feature a support cast of Pirelli World Challenge cars. 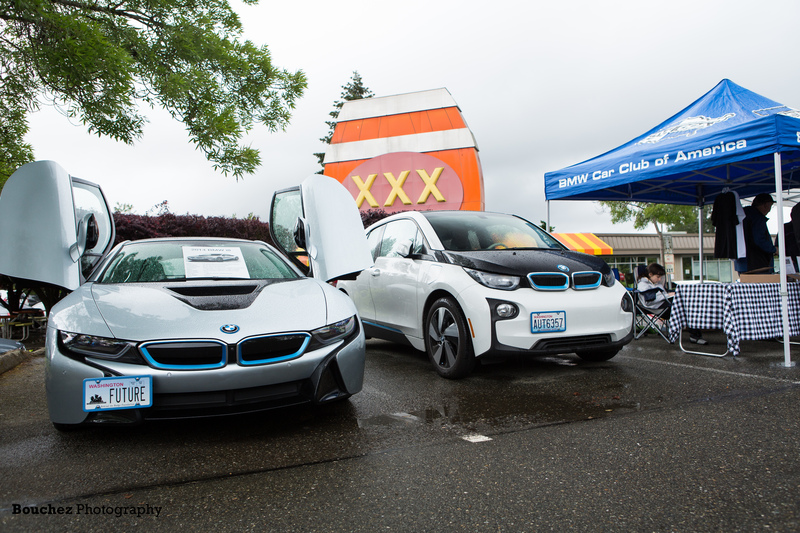 The Pacific NW Historics will be without Children’s’ Hospital support. And Indy Car racing returns to PIR Labor Day weekend! Keep an eye on the Club events calendar, as we are working to assemble a drive/spectate/pit pass package for this weekend. With a lot of new ideas and fast new drivers, there is a lot to look forward to in 2018. Jim will be getting a new engine and is looking forward to the 2018 season. Bill hopes to win the ME2 class in the Enduro next year after finishing second this year!